After freezing for 24 hours last week during the blackout I was very pleased to see that the local community had managed to put together a public meeting with people from Toronto Hydro, Hydro One and the city. I went mainly to get a more accurate report on what did happen at the substation and what is going to be done about it. I came to Canada almost 6 years ago, just in time to enjoy the massive blackout of 2003. When most people back then was back on line we were still in the dark,,, again our famous substation was to blame. I used to work as a certified high voltage technician back in Norway during the 80's. I have worked in substations and on the high voltage grid, belove and above ground. Never have I seen blackouts like the ones we have had in our community. So why is this happening again and again. 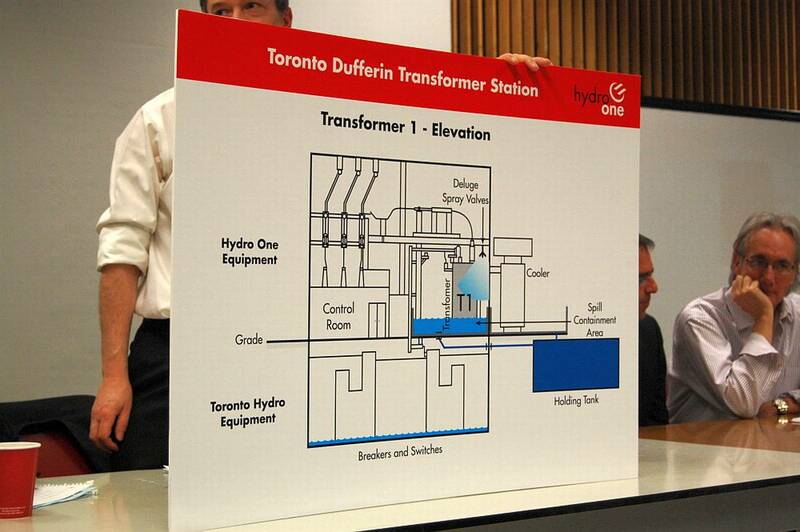 The explanations given to us from the Hydro staff give us a look into a seriously flawed system. We like to think there is an up to date grid that will serve us and give us stable sufficient supply of electricity. 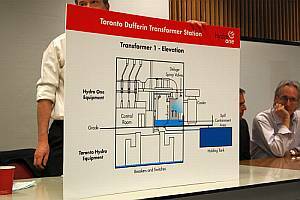 Instead we are told that our substation and many others are +40 years old and that they are fire proofed with water. Water can be a good fire retardant but inside electrical equipment they can cause more damage than good. Our substation has not had fires but the sprinklers have been used and the result is known to all of us. Wet electrical equipment is no good and has to be dried. Therefore these long black outs.